Join us in prayer for the crisis in Iraq from 6pm-7pm (Central Time) tonight. 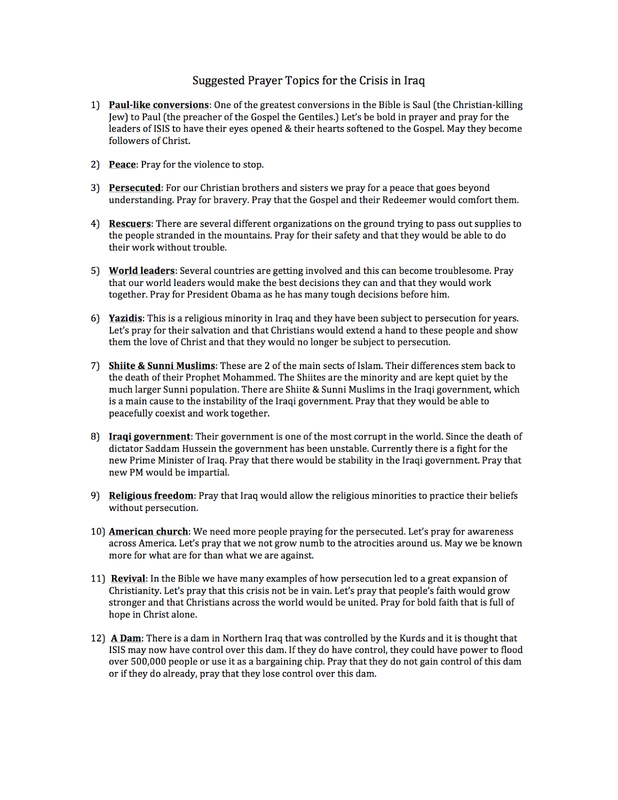 If you aren't sure what to pray for or about, see the list below. If you aren't aware of what is going on, see this post for a little more information. We will be praying in a group in Nashville, but you can join us from wherever you are!